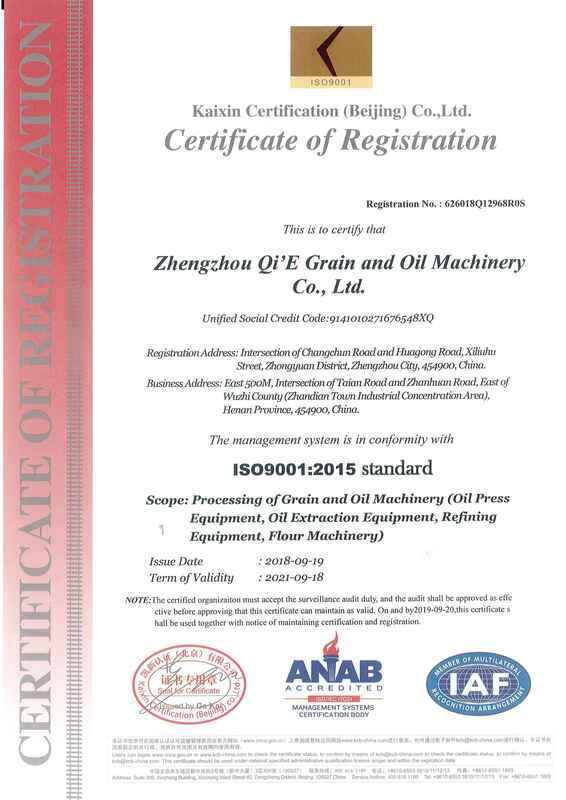 9YRSZhengzhou Qi'e Grain And Oil Machinery Co., Ltd.
Zhengzhou Qi'e Grain&Oil Machinery Co.,Ltd is a large-sized joint-equity enterprise which specialize in producing edible oil mechanical equipment and it is also a group enterprise integrating scientific research, manufacturing, sales as one. Our company have set up Mechanical Design and Research institution,oil press machine department ,large-sized complete oilequipmentdepartment,International trade department,production department.Our business involve in small-sized oil pressing series,Grain and oil engineering designing,equipment manufacturing and installing, project contracting,technical service ,new product development,the intensive and deep processing for oil by-products and so on. 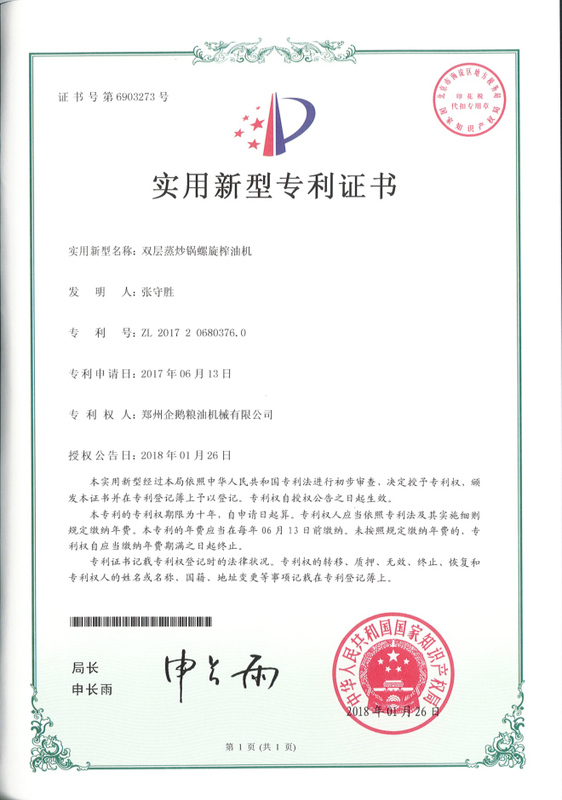 The corporation lies in the High-Technology Industrial Development Zone of zhengzhou which is the capital city of Henan Province. It covers an area of 27000 square meters and contains 12 standardized production workshops,more than 100 sets all kinds of large and middle scale processing,plug welding and assembly equipment,,more than 200 online employee ,among them ,there are exceed 60 administrative staff and engineering technical personnel who hold intermediate and senior professional titles. 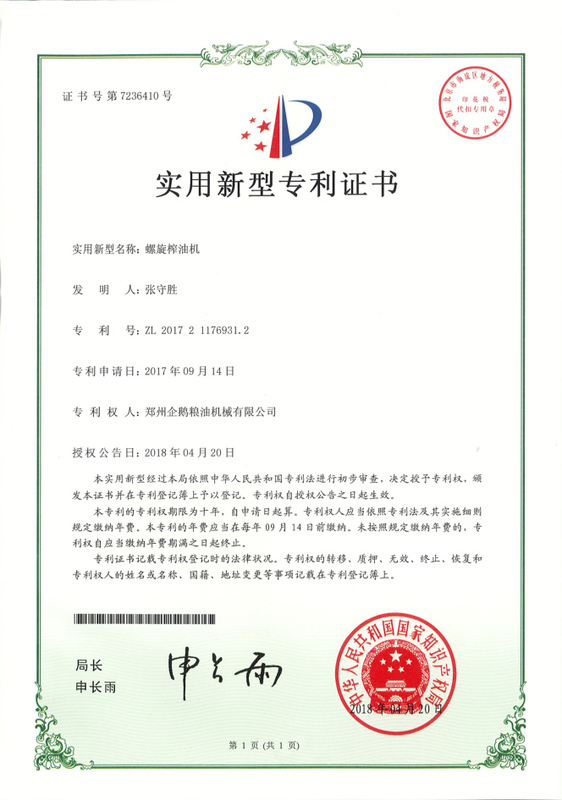 Our company have passed ISO9001:2000 international quality management system certification successfully.It has the qualification of manufacturing for one and two types of pressure vessel ,besides,it also has a number of national patents.Since founded in 1982,It has been awarded the "The quality-star enterprise of Henan province","Model enterprise with High quality, and keeping promises ","3.15quality and reputation double promise enterprise " and so on. 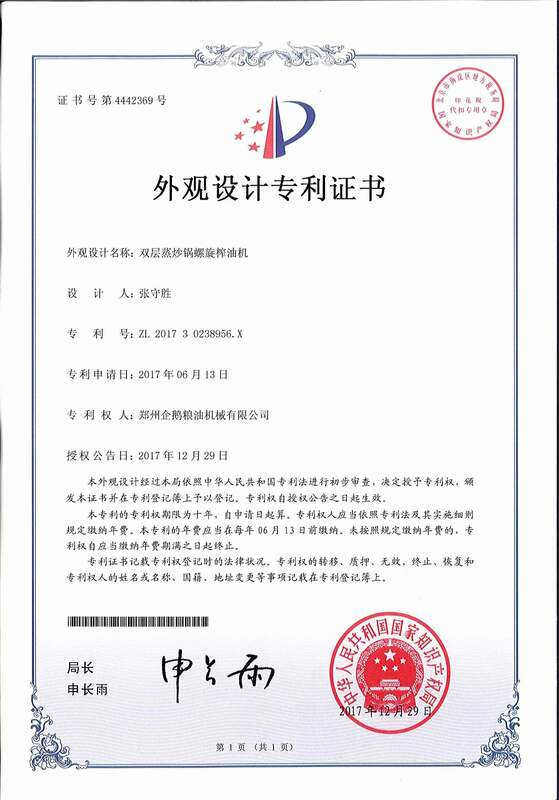 Its Body shape"Qi'e" mechanical products have been awarded with"Chinese famous brand products","National Quality trusted consumer products" and many other honored titles.The pennants such as "High technical skills , reliable partners" from our customers are countless. Our Company has grown into Chinese grain and oil machinery production and export base with scientific management method, strives for perfection the manufacturing process, innovative manufacturing idea rapidly , its production and the comprehensive economic indicators lies in the forefront of the same industry line, The products have been sold all over the country and exported to more than 30 countries and regions such as Russia, India, South Africa, Ukraine, Nepal, Indonesia and so on .